Walking into any store in August will remind you that it’s back to school time. For some, this may signal that summer is over, but for me, I get goose bumps and my heart races a bit with excitement and anticipation of putting pen to paper and starting anew. It’s an exciting time to be a teacher, and a student, with all of the newest gadgets, apps, and tools available for our use in the classroom. But we all know that the shiny folder, or glitter stickers we love so much is not what makes the beginning of the school year so special. It’s the people who make the difference. Seeing the student’s smiles, the teacher’s high level of engagement with the students, and trying new things together is what makes a classroom a special place. This year I am aiming high with 7 educational transformations. Many of these have been in place before, but with the latest updates in technology, and access to the world like never before, they are high priority to continue and to build upon. I am fortunate to be able to push into classrooms from kindergarten through twelfth grade for a variety of activities. While it’s not listed in the 7 transformations, the overarching goal will be to help students navigate their digital world and build a positive digital footprint. The first month of school will be focused on lessons on digital citizenship and leadership. It is there that these 7 educational transformations will begin to be implemented. 1. 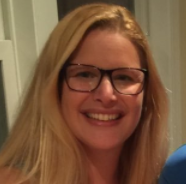 Hyperdocs – I was first introduced to Hyperdocs while taking the EdTechTeam Teacher Leader program and had to learn more. 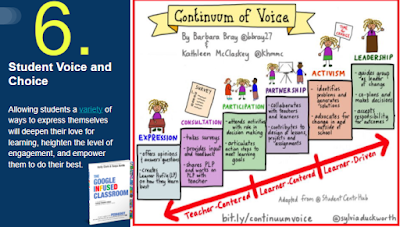 Through the book and the online course, I found an awesome solution for differentiation, engagement, and student empowerment. These lessons can be done on any platform, with my favorite being Google Slides, as it works best on our school’s iPads. Recently, many Hyperdocs have been built on decktoys.com which brings a new level of gamification into the classroom. These interactive, organized, and easy to build lessons work great in any classroom, any grade, and any subject. 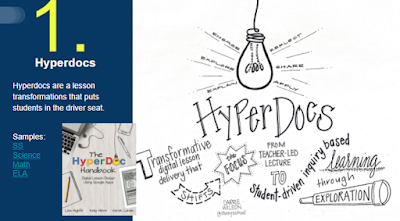 Check out the website Hyperdocs.co for more information. 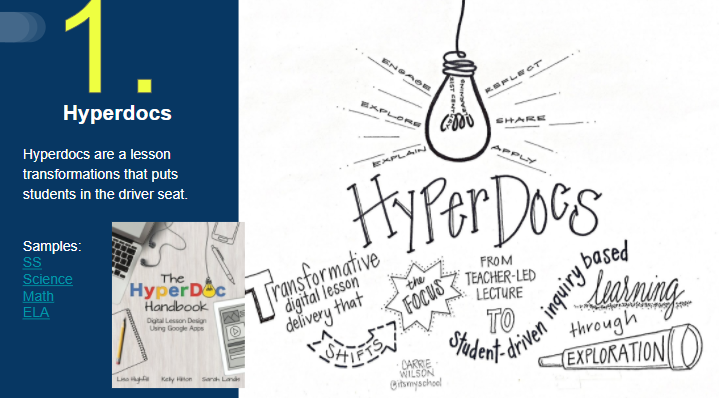 Also, check out the book The HyperDoc Handbook by Lisa Highfill, Kelly Hilton and Sarah Landis. 2. 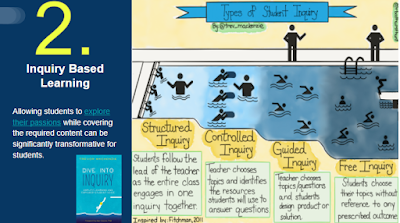 Inquiry Based Learning – Do you ask your students many questions? Do you nurture student’s passions? 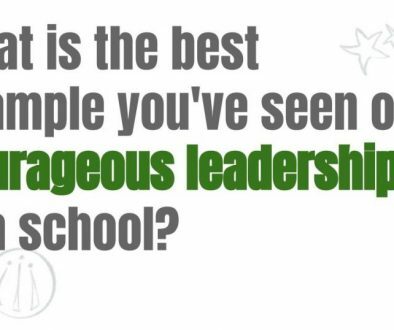 If so, then you are already implementing Inquiry into your classroom! Students have stories, knowledge, and interests that need to be fostered. It’s up to us teachers to allow students to explore these passions through agency and exploration. 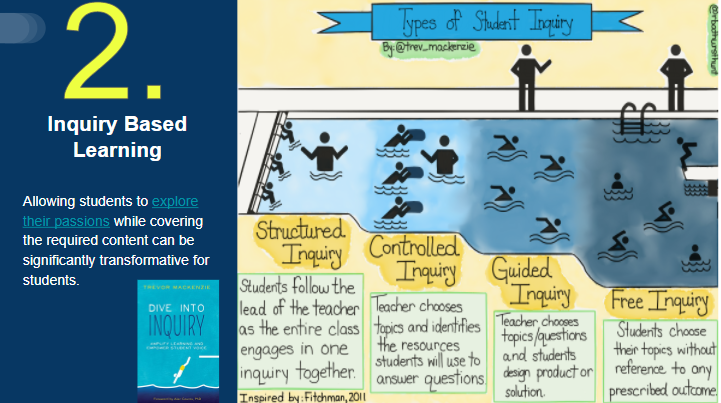 The best way to start is to explore these inquiry cards that were written by Trevor McKenzie, the author of Dive Into Inquiry. This can also be easily done through the app Nearpod, as the questions can be embedded through interactive activities built right into the program. It also will allow students to ask questions or pose an idea through open ended questions and Nearpod’s collaborate feature. 3. Intentional Learning Spaces – I was fortunate to be able to redesign my professional development space based on what I learned with the EdTechTeam and online The Space: A Guide for Educators book study with Rebecca Hare and Robert Dillon. 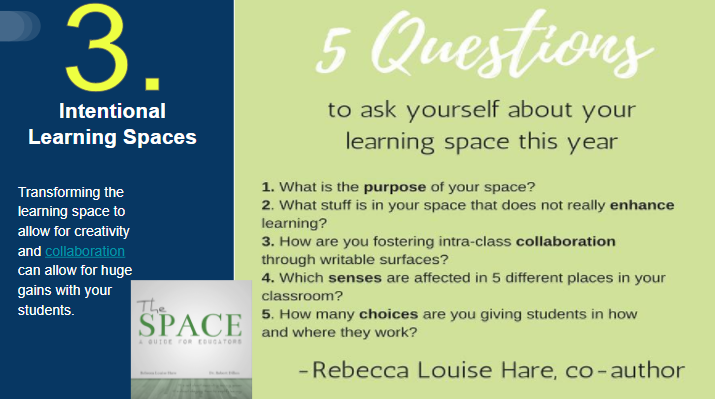 This year, we are starting a building project in all three of our buildings and I am hoping to help teachers design these spaces with their students to be something special. Already teachers are building corners for recording, decluttering their walls, and offering more flexible seating in their classrooms. 4. Sketchnoting – Students are all so unique and all learn in their own way. I want students to have the opportunity to take notes using sketchnoting to see if it’s something that works for them. We all doodled during classes, but if you are doodling to help with the hand to brain memory, it becomes something incredibly powerful. 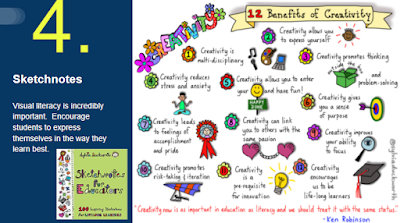 Checkout Sketchnotes for Educators by Sylvia Duckworth. 5. Coding – When my school went 1:1 with iPads 4 years ago, I had my 6th-grade class try the Hour of Code. I was hooked. Never had I seen the level of engagement, the critical thinking, problem-solving, and collaboration that I saw during that week. Students who often were disengaged were suddenly the teachers in the room. Being honest and telling students I was stuck on a level, and them helping me figure out the solution, fostered agency and empowerment for my students. I haven’t stopped since then and infuse coding into every subject and lesson I can. 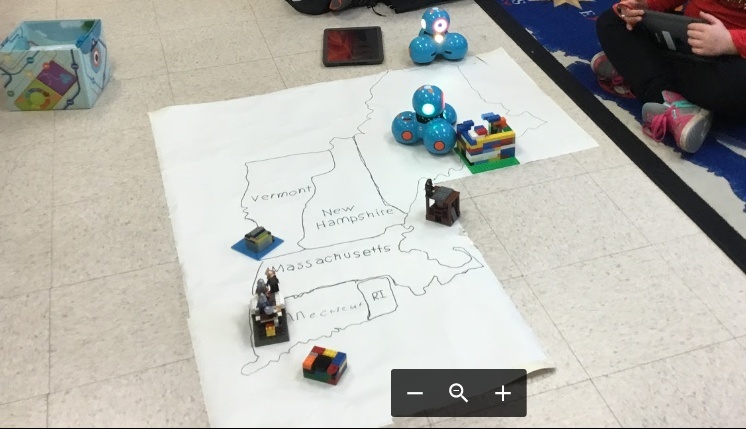 Students at my school have coded the Sphero robot to teach about recycling in our middle school, they coded Spheros to breakout during a BreakoutEDU game in math, students explored coding Wonder Workshop robots through science, geography, music making, and in ELA through a variety of highly engaging and highly challenging lessons. Coding is the total package for students. There are an incredible amount of benefits of adding coding to all classes. 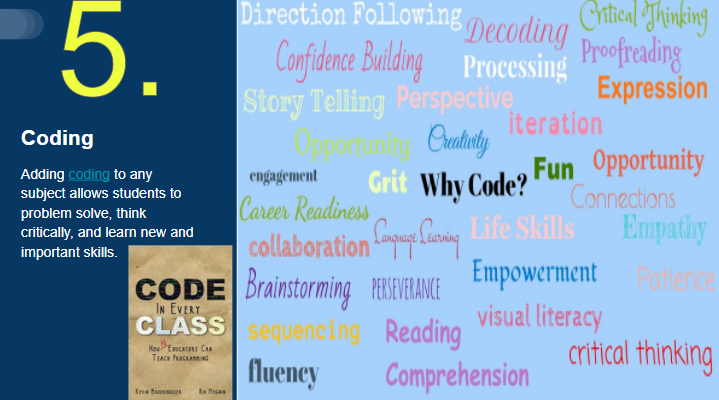 Check out Code in Every Class by Kevin Brookhouser here! 6. 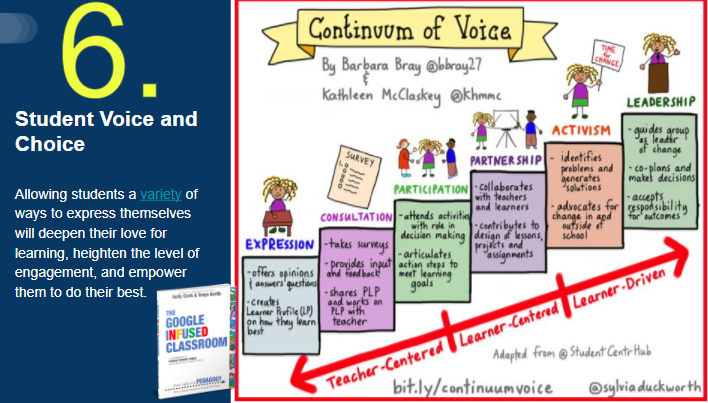 Student Voice and Choice – One of the big components that is often missing in the classroom is giving students an opportunity to reflect, to teach, and to explore. Teachers who ask questions and really listen to student answers will build better relationships, a higher level of trust, and stronger engagement with their students. With amazing apps like Recap and Flipgrid, teachers can connect with students in new and innovative ways. Offering choices on how students show their learning is imperative to keeping students vested in the learning process. Check out The Google Infused Classroom by Holly Clark and Tanya Avrith. 7. 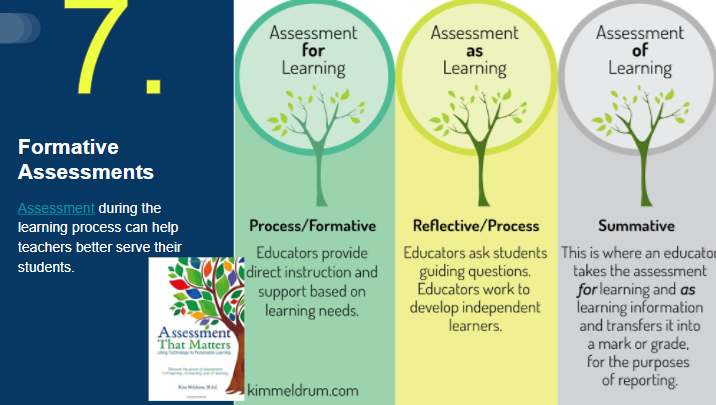 Formative Assessments – I’ve never been a big fan of huge summative exams. I see the value and importance of them, but nothing is more frustrating than finding out at the end that a student totally missed something. That is where formative assessments comes in. If teachers stop and check, have students reflect, and build in activities that shows how much a student has grasped, then the summative assessment should not come as a surprise. This is a great place to add gamification, creativity, and collaborative activities that will engage your students, and give teachers a real window into the learning that is taking place. Now it’s time to put fresh paper in the binders, sharpen the pencils, and download some amazing apps that will transform learning for your students like never before. Focus on student agency and build lessons that empower students to want to learn. Imagine what our classrooms will look and feel like if we use these simple ideas to foster success. These transformations will make your classroom something spectacular and your students will shine.